Frankfurt star Luka Jovic is apparently not interested in a move to go to Barcelona, according to his father. In fact, AS claim that the preference is for Real Madrid rather than Barcelona. Luka Jovic has really hit the ground running this season as he has scored 17 goals in the Bundesliga and 8 in the Europa League to take his tally to 25 goals so far this season. As a result, a lot of clubs have been linked with him and among them are Real Madrid and Barcelona. However, the player’s father doesn’t think that his son would like to go to Barcelona. According to him, Jovic has many offers, among which one is of Barcelona. However, he doesn’t think he would get much playing time at the Camp Nou, which is why he is not interested in a move right now. "Luka has lots of offers," Milan Jovic said. "One of them is Barça but he isn't interested at the moment. He isn't assured of minutes at Barcelona." The report also adds that the relationship between Frankfurt and Real Madrid is top-notch as both Jesus Vallejo and Omar Mascarell have played there. Jovic is set to cost somewhere between €50 million to €60 million. AS make a lot of good points here to back their claim and it seems like Frankfurt would really prefer selling to Madrid if the Galacticos want the player for their team. 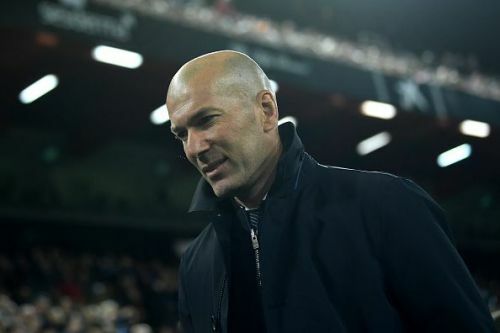 Real Madrid have 7 games left to play this season, after which a summer of recruitment and departures awaits as the Merengues need a massive renovation to build a squad capable of winning trophies once again.